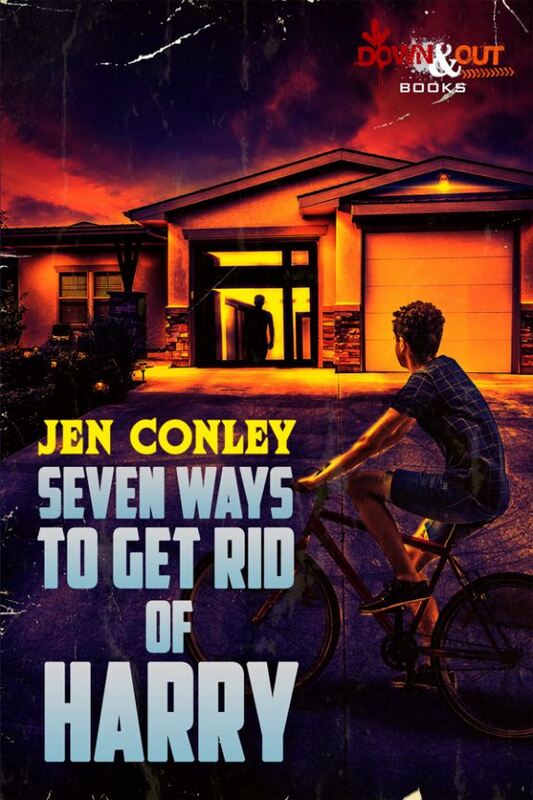 TAMPA, Fla. - Feb. 14, 2019 - PRLog -- Down & Out Books is pleased to announce that SEVEN WAYS TO GET RID OF HARRY by Jen Conley will be published on June 3, 2019 in trade paperback and ebook formats. Danny Zelko, 13 going on 14, needs to get rid of his mom's boyfriend, Harry. The guy is a creep. Drinks too much, locks Danny out of the house, gets in Danny's face and calls him Danielle. Of course everyone blames Danny. It's his fault he gets into fights at school. It's his fault he can't control his anger. It's his fault Harry is such a jerk. Danny isn't such a bad kid—he has his own lawn business, makes his own dinner, even takes out the garbage and closes up the house without being asked. All he wants is for his mom to be like she used to be—a real mother who acted like one. Because Harry makes her stupid. When she gets around him, she forgets about her kids. Disappears with him, doesn't stick up for her own son. And the prospect of spending another day with this man makes Danny feel helpless and broken. So when Danny's sister, Lisa, reveals that Harry and their mom are getting married, Danny, never the one to cower, decides to do something. That's right, one way or another, he will get rid of Harry. Set in 1983, New Jersey, Seven Ways to Get Rid of Harry is packed with Danny's friends and enemies, a few fist fights, heartbreak and fury, and a little humor too. Jen Conley has published many short stories in various crime fiction anthologies, magazines and ezines. Her short story collection, Cannibals: Stories from the Edge of the Pine Barrens, was nominated for an Anthony Award in 2017. She lives in Brick, NJ.